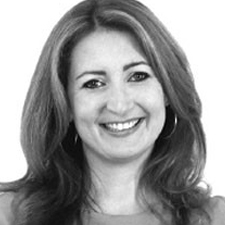 Paula is an experienced marketing professional with a portfolio of roles. Previously Head of Marketing at Cardiff based commercial law firm Darwin Gray, she is now leading the marketing function for Atamis, a leading UK procurement software provider. She also runs PM Marketing Limited, an independent creative agency providing branding, design and communications services to a wide range of clients and sectors. Before the Airport, Paula was Director of Communications and Marketing at Cardiff and London based commercial law firm and consultancy business, Capital Law. She has also worked in the Retail sector, having headed up the marketing at Sigma 3 Kitchens for five years, and in financial services marketing for several years at HSBC, after beginning her marketing career at Europe-wide hearing aid retailer, Hidden Hearing plc. Paula is also an experienced volunteer mentor, currently working with young people in Further Education and in internships in order to support them in realising their ambitions. Having grown up in the Rhondda and studied English Literature at Cardiff University, Paula is passionate about Wales and its capital city, and is committed to making a positive impact on the local business community through her role at Cardiff Business Club.